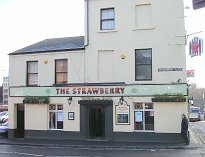 This page features information on some of the pubs/bars in Newcastle that show live football, horse racing, boxing and rugby matches. The selection below gives info on the best places to go to watch the games. Rugby Six Nations, Premier League, Newcastle and Uefa Euro 2020 football matches will be featured at most of the bars listed therefore the list shown provides a sample of some of the best options available. This bar, in the Central Station is very busy at all times and has one of the largest screens to watch the football. 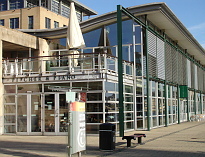 It attracts mixed crowd of those passing through the station and dedicated football fans in this grade 2 listed building. 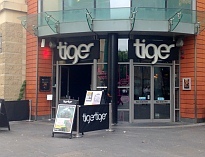 Very popular upmarket bar next to Gateshead Millennium Bridge that is features live football. There is usually entertainment and special offers on drinks so get there early to ensure a seat. Popular bar in The Gate that has seating for 150 with 3 large plasma screens. There is also 2 in Opera next door. Hire out the bar for the match. Matchday buffets pitchers and beer buckets available. 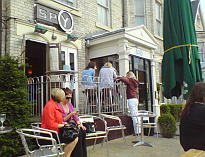 Lively Jesmond bar that is popular with the student crowd. 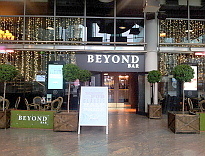 The bar has several widescreen TV's and a large drop down screen near the entrance and features premier league football and rugby World Cup 2015 matches. Happy hour offers available with the chance to win your drinks free. 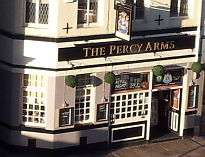 Traditional Newcastle pub that has a great atmosphere during games. Several widecreen TV's and a large drop down screen but can get very busy during matches. Several cask ales on offer so a good all round choice. 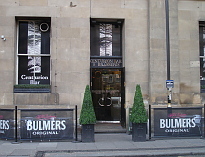 A popular bar close to the Grainger Market in the City Centre that is busy on most days especially with the locals. Live sports is featured including football, cricket, horse racing, rugby and motor sports on widescreen TV's throughout the bar. You can book a table for one of the sporting events in the bar but if not booking get there early to ensure you get the best seats. Click here to check what sports are on every day at The Black Garter. 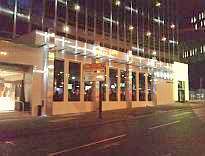 Popular bar close to St James Park stadium which is part of the Sandman Signature Hotel. The bar has over 40 flatscreens and large screens showing live football and sporting events. The main emphasis is on football and with plenty of tv screens you are sure to find a spot in which to enjoy the game. 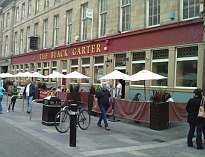 A short distance from St James Park this bar is extremely popular on match days. 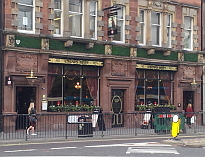 The bar features live football regularly and is very busy on most days. Large bar that features matches on large plasma screens. 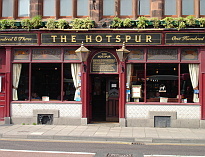 There is usually a special football menu available as well as drinks offers on match days. You can arrange a group booking with their on line service.